Research has shown that it is Engaged Clients who provide referrals and make introductions. 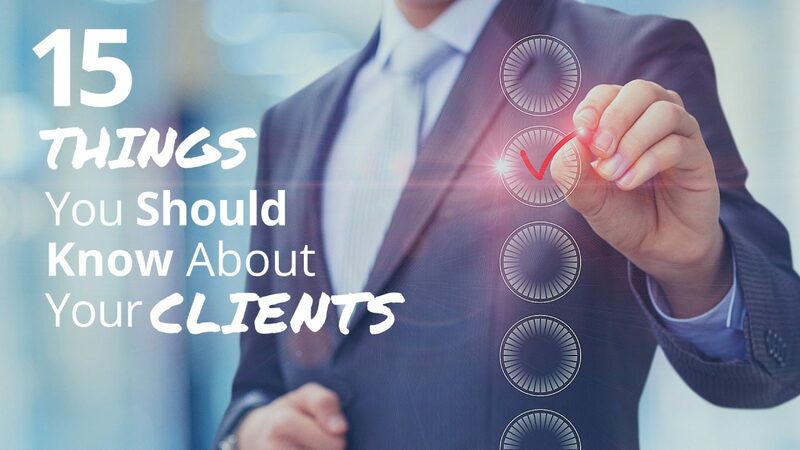 With engaged clients, you’ve made a quality value connection and quality human connection. You find ways to be of even more value to them – through your work and by making introductions to other resources. You build a business friendship where they begin to take a stake in your success. They advocate for you, because they know your value and they want to help you. This is a very powerful combination. If you’re old enough, you remember a book by Harvey Mackay entitled: Swim with the Sharks without Being Eaten Alive. In this classic, Mackay describes how his company used this simple tool to get to know their customers better. He said that these 66 items act like a barometer on the relationship. The more answers you know, probably the higher the quality of the relationship – which means higher loyalty, more business, and more referrals. Important! You don’t turn these 66 items into an inquisition of questions in one sitting. In fact, much of this information may be revealed through genuine curiosity on your part. Here, then, are 15 of the more creative items that you might not think about asking or discussing with your clients. For this Blog, I combined a number of the items into categories. Mackay’s list has these items broken out in even more detail. Some are mundane (though necessary). Others are more interesting. What items or categories would you add to this list? I want to know. Please comment below. Let’s start a conversation and “share the wealth” of ideas.